The appointment follows a rigorous review process which began in the summer and included a number of the UK’s leading staffing agencies. 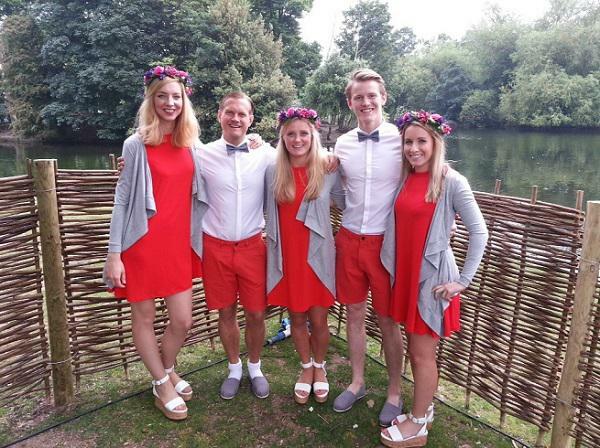 Promotional and Event Staffing Specialists Kru live will be providing a pool of true brand advocates who are fun, vibrant, motivated and proud to be a part of the Rekorderlig Taste Team. The team will be activating Rekorderlig’s sampling UK wide in bars and at events throughout the year, which last year included Midsummer House, a Beautifully Swedish traditional Swedish midsummer escape in Victoria Park serving authentic Swedish food and showcasing Rekorderlig’s innovative range of summer cocktails. The Midsummer House ran for two weeks, injecting London with a unique pop up experience and gaining significant press coverage. Chilli Marketing, the company behind Rekorderlig, was founded in 2004 when Kieron Barton discovered Cusquena lager while trekking in Peru. Together with Gareth Whittle and brother Christian Barton, he returned to the UK and set up Chilli, focused on the development of premium drinks brands. In 2008, lightening struck again when they discovered the Swedish cider, Rekorderlig, sitting on a warehouse shelf in London. Immediately drawn to the simple, yet stylish bottle, they set out to build an alliance to position the premium fruit cider as a refreshing alternative to pub-goers in the UK and beyond. Today, less than ten years later, Rekorderlig is available on five continents, and Chilli has a team of over 50 people working around the globe. With a global retail sales value of over £250 million globally, Rekorderlig Cider is one of the fastest growing ciders in the world. Due to the volume of activity and to fulfil Rekorderlig’s growing calendar of events, Chilli made the move to partner with an external specialist agency to further develop the Rekorderlig Taste Team.